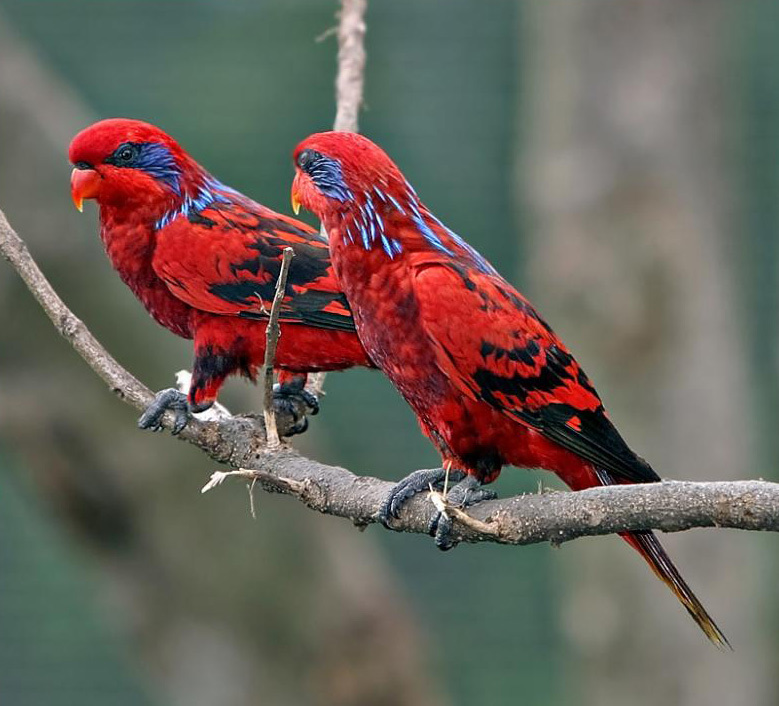 Today I want to write about a parrot that has beautiful colouring, the blue-streaked lory. These beautiful parrots grow up to 31 cm long. They use their long tongues to eat nectar from flowers. They also eat seeds and fruit. They can cause a lot of damage to crops, making them very unpopular with local farmers. At breeding time, they lay 2-3 eggs in a tree hollow. Like other species of lory, these guys live in groups. They also live for a long time and can reach 30 years of age. Blue-streaked lories are found in forests on the Tanimbar Islands and Babar in Indonesia. They are considered near threatened, mainly due to poaching for the pet trade and habitat loss. Are there any other interesting facts that you would like to share about blue-streaked lories?